Legal experts weigh in on Boycott, Divestment, and Sanctions - and why taking anti-Israel NGOs to court is critical for Israel's image. Bar-Ilan University and the Adam V'Adama Institute for Zionist Law held the first annual anti-Boycott, Divestment, and Sanctions (BDS) conference on Thursday. The event was attended by several noted public figures, including Economics Minister Naftali Bennett (Jewish Home), head of NGO Monitor Professor Gerald Steinberg, and Attorney Nistana Darshan-Leitner, head of rights group Shurat Hadin. Arutz Sheva spoke to several BDS experts at the conference to learn more about BDS and Israel today. "Is there something to do? Absolutely," Professor Avi Bell, Professor of Law at San Diego University and at Bar-Ilan University, stated. "There are legal claims we can make, there are institutions where we can actually get a fair hearing for them - for example, international trade organizations - and there are targeted things that we can do against particular groups." "[For] example, last week there was an academic group in the United States who has imposed a boycott in Israel, who was forced to partially cancel it because a civil rights suit was brought against them for discriminating against potential Israeli participants," he added. Nitsana Darshan-Leitner noted that these legal battles require a good deal of strength - and planning ahead. "You have to find these organizations, these BDS organizations - and it's all you have, it's like a street fight," she stated. "You have to use car antennas, you have to use broken bottles - you can't fight them with your hands tied behind your back." "You should utilize legal actions," she continued. "You can target each and every organization and sue them, or use legal action against them - and at the end of the day, the goal is to bring them to hold their activity." Darshan-Leitner stressed that the real damage BDS does to Israel is conceptual and political, not financial. "The slogans that they use, the image that they want to reflect of the State of Israel, is as an apartheid state, and that this is why we deserve the divestment and the boycotts and the sanctions - and this is what you have to stop," she added. 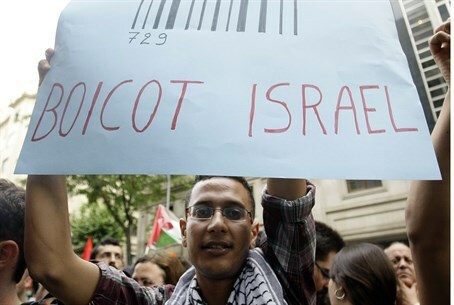 But in the meantime, attending experts said, the public must also be educated on legal actions against BDS; not only is the trend spreading, but the legal actions taken against anti-Israel groups actually stem from public action, not private lobbying. "This is not necessarily for the government to do," Prof. Bell said. "Part of this is for regular citizens to do. The civil rights suit brought in the United States is not brought by the State of Israel."